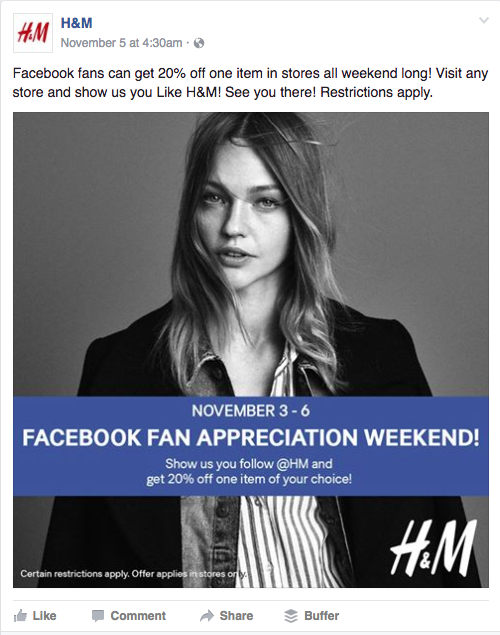 Looking to gain traction on Facebook? Want to drum up some excitement amongst your Facebook fans? How about some friendly competition? In this article you'll find 50 Facebook competition ideas, tips, and examples to help you supercharge your social media marketing. What type of Facebook competitions are there? 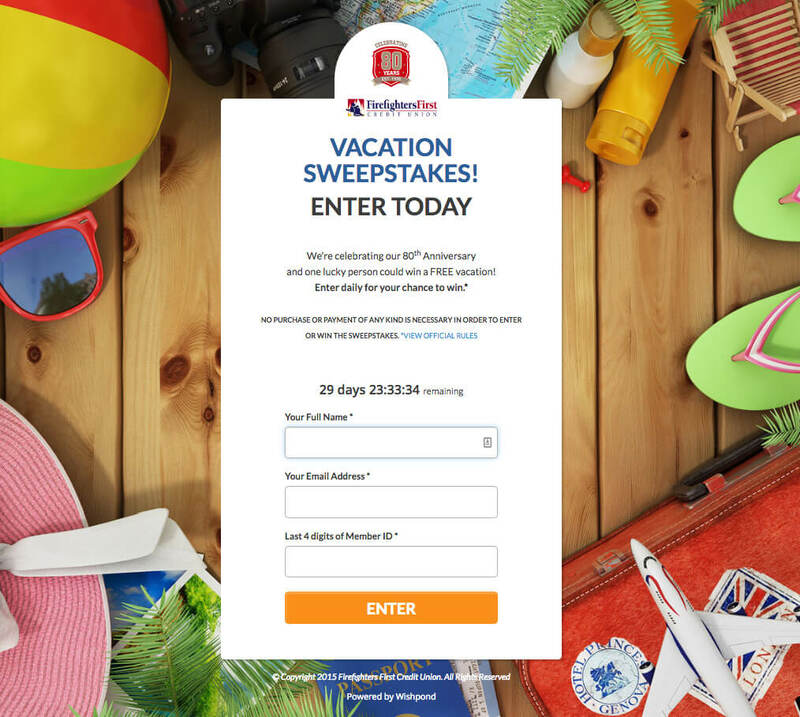 The most common Facebook competition out there, a sweepstakes simply involves entering with your information... and that's it! These are the majority of competitions you'll find on Facebook with the primary objective being lead generation. Photo competitions entail your fans submitting a photo based around a specific topic and you selecting an appropriate winner. 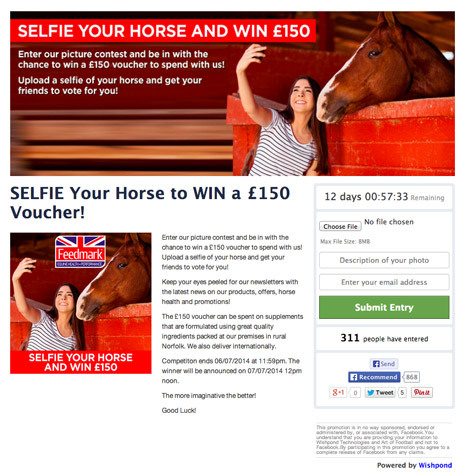 Photo competitions are an excellent way to collect user generated content for social sharing. A caption competition involves selecting a photo, preferably a funny photo, and asking your fans to submit captions. You select your favourite and crown the winner. A vote competition is much like a photo competition except fans vote on the winner. It has the added benefit of including a larger audience and the promotion of entrants to their own networks. A video competition is exactly the same as a photo competition… except with video. Fans create and submit videos based on a topic and a winner is crowned. Ask your fans to help pick the name of your mascot! Use a caption Contest and allow entrants to submit their own names and have your fans vote on their favourite. Fans that fancy themselves designers can submit their designs for a chance to win and have their logo used as an official design. You might be surprised at what they come up with. 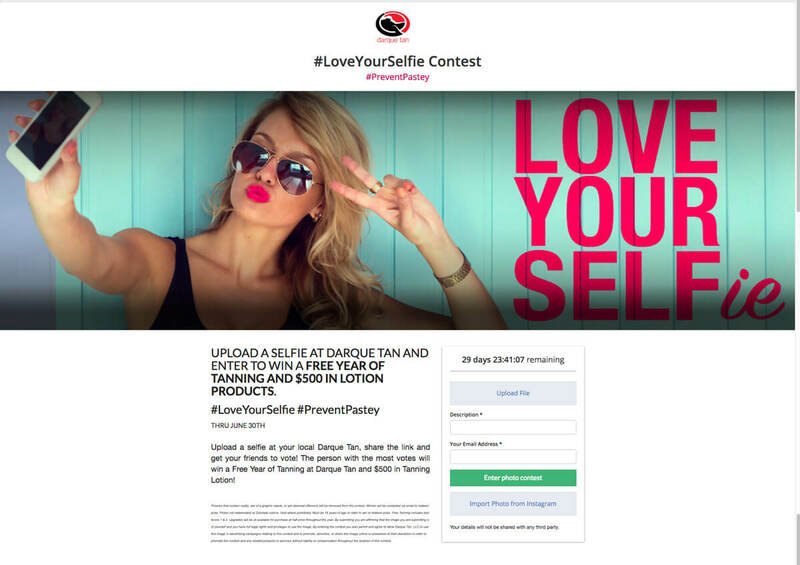 Selfie contests have been phenomenally popular on Instagram and Facebook in the past few years. 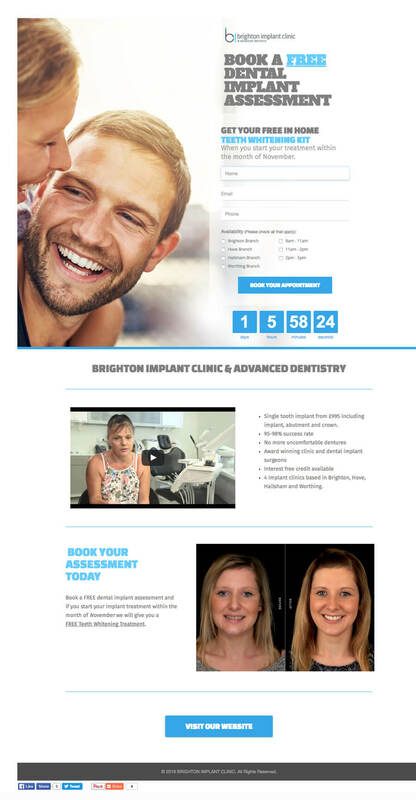 They're also a great way to get user generated content of your customers as different venues and events. These photos can then be aggregated into a gallery to help build a community around your brand. Curious to see your product out in the real world? Ask your Facebook fans to submit photos of them using your product for a chance to win. It'll give you great content to share with your fans and potential fans alike. 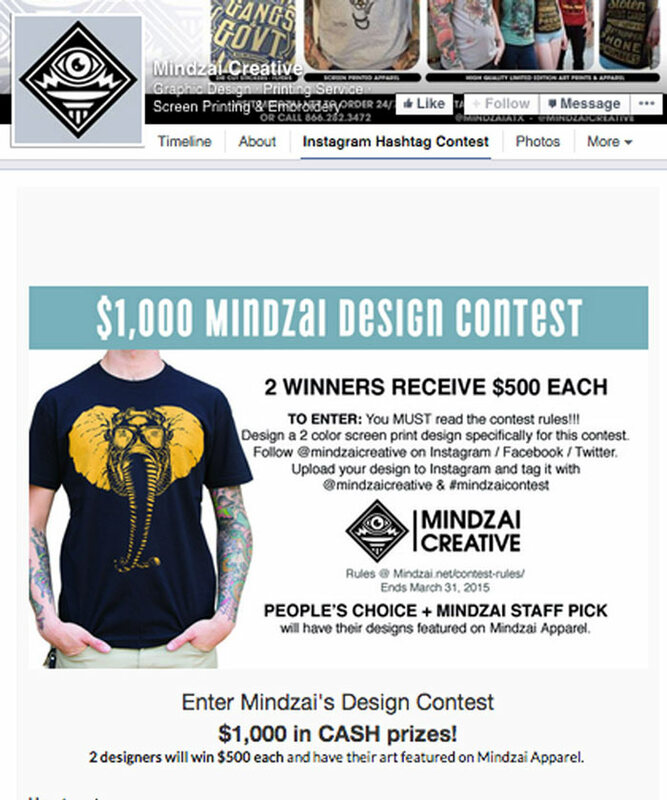 Get your fans to flex their creativity and submit their own t-shirt designs for print. You can either have your fans vote for their favourite or pick your favourite, the choice is yours. 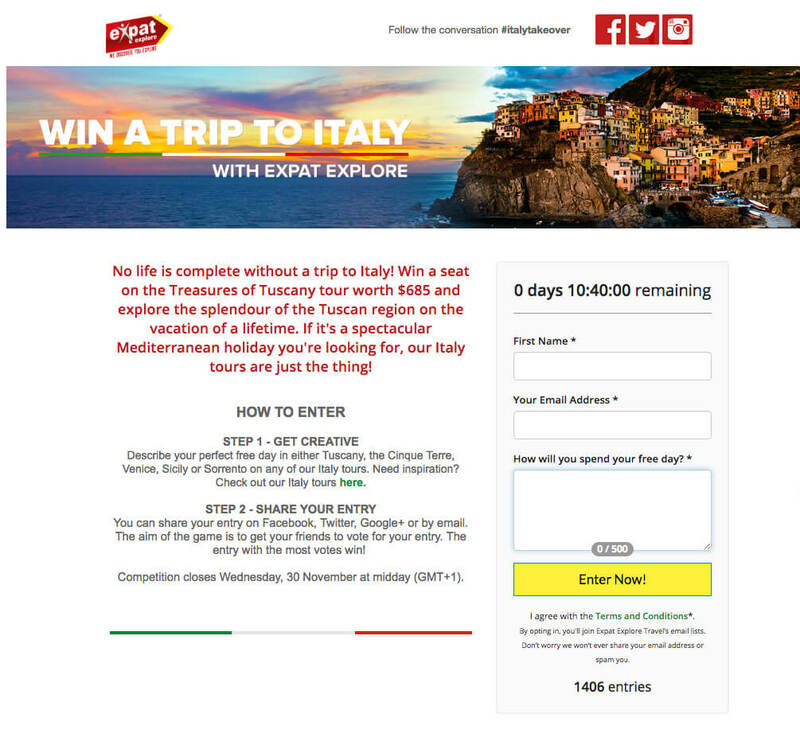 Why is a Facebook competition right for you? A competition is a fun and exciting way to create hype around your Facebook page. It'll expose new and old fans alike to some friendly competition and grow your following in the process. 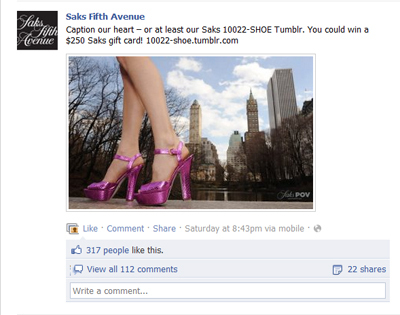 Getting a Facebook competition in front of your target audience is all about incentives. A fantastic prize is sure to draw in people enthusiastic about the industry you service. Collect a long list of lead information from the folks entering your Facebook competition. This way you can promote to these leads further down the road. The fact that they're interested in your industry makes them that much more interested in your future offers. Creating awesome content to share on Facebook is not always a cake walk. 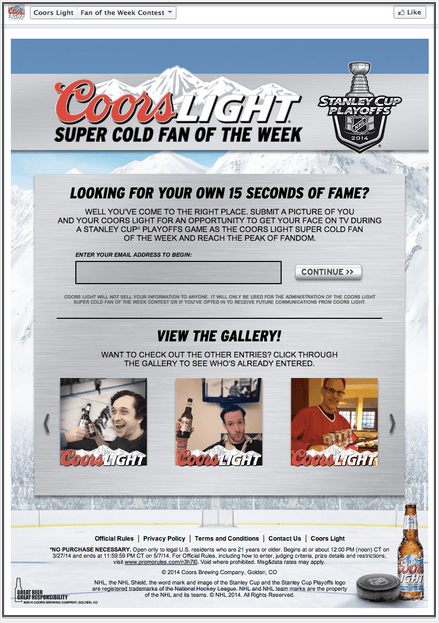 Let your fans in on the action and collect some user generated content to share in the future. Getting your Facebook competition in front of your target audience provides a perfect opportunity to collect user feedback. Speaking with the people who win your product is an easy way to gather valuable feedback. It's expected that you'll get busy with other areas of your business and neglect to engage your followers. Not to worry. A Facebook competition is a perfect way to re-engage your audience and get them excited about winning some free stuff. As a part of the exposure you receive for running a Facebook competition expect that to translate into sales. Sales from leads, sales from new followers, and sales from mere exposure. A Facebook competition will ultimately put you in a position to reach new customers for sales. Have a new product/service to promote? Get your new product/service into the hands of your audience immediately and start generating hype for it. Folks generally go nuts for free stuff. Generate more traffic to your website by including an entry page directly on your website. You can include additional contest entry details and other content ultimately leading to more traffic for your website. Don't forget the social media is… social. It's a prime opportunity to engage with your audience during your Facebook competition. Respond to questions, ask questions, get feedback, and get to know who you've set out to serve. 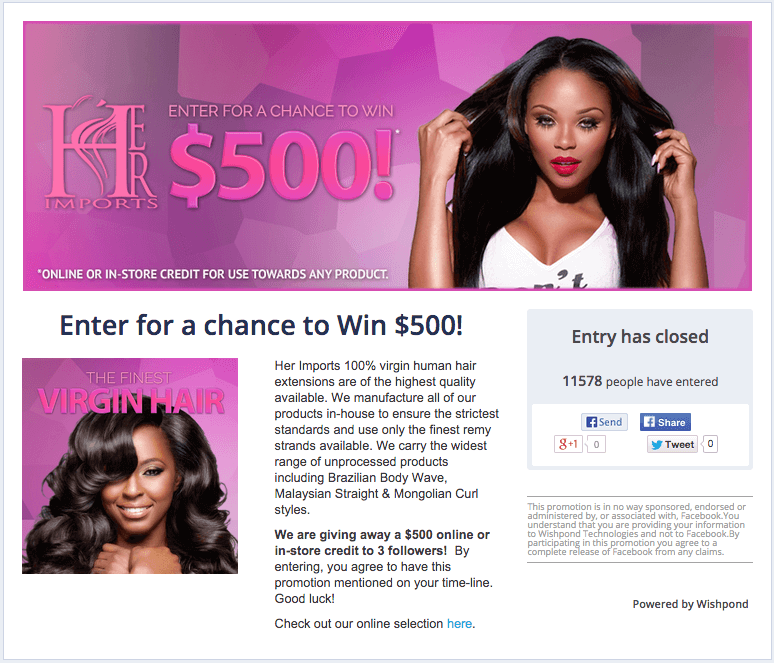 Learn more about your target market with a Facebook competition. Don't bother messing with custom codes to build your own Facebook competition. 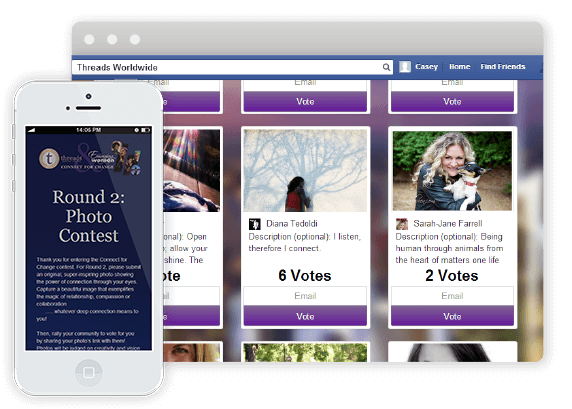 The best way to run a Facebook competition is with a competition platform (like Wishpond). It'll make life easier by giving you an easy embed code to copy and paste onto your Facebook business page. Like a beautiful storefront, your headline is what draws visitors in. A compelling headline should speak directly to the reader's emotions. Directly address the benefits of entering into your Facebook competitions. Do they win an awesome prize? Do they win Cheetos for life? Or how about eternal life? Make it clear what they stand to benefit from. A unique hashtag for your contest makes searching up the entries on Facebook easy. A hashtag organizes all of the entries under one unique name. Visitors want to know what's in it for them immediately. If nothing catches their interest they're most likely going to split. A benefit checklist can help. Why should you enter? This, this, and this. Make it clear what they stand to benefit from. Online readers are anything but patient. They need to know what you're offering quick. They need to understand what the deal is and what they stand to gain. Visuals will help you do the job of communicating value quickly. A guy jumping off a ski ramp is fun, exciting, and puts viewers in a winter sports frame of mind. Those interested in winter sports will be immediately compelled to explore more. 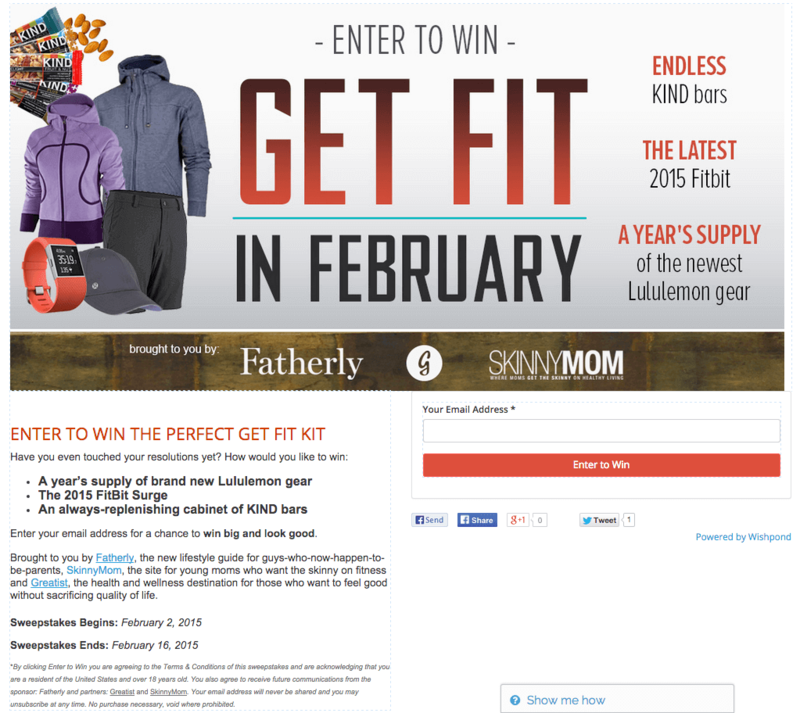 Don't make entering your Facebook competition any trickier than is has to be. The rules for qualifying and disqualifying participants must be explicitly clear. The last thing you want in an angry participant. Along with making your entry rules clear, be upfront on how the winner will be chosen. 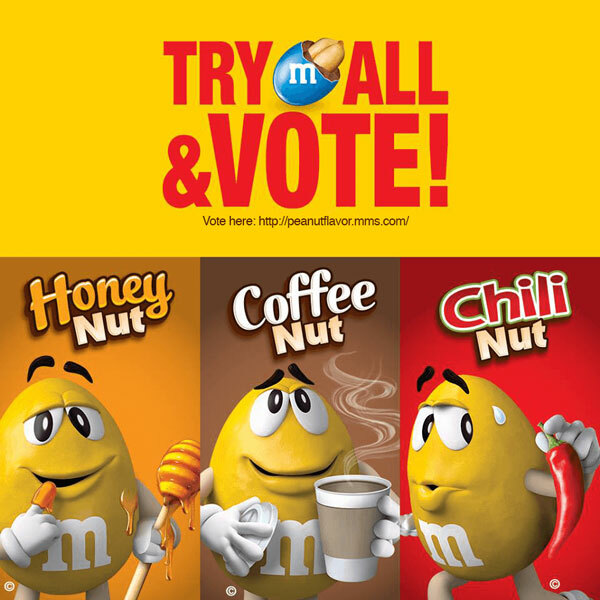 Make the choosing process simple. A social competition app like Wishpond will randomly choose and automatically email the winner to let them know. Experiment with bonus entries for everyone who enters. Sharing the competition with their network or entering once a day for example, are a couple of ways to give bonus entries for extra participation. People love bonuses that give them a leg up on the competition. Once your Facebook competition is up and running don't forget to change your Facebook cover image to let the rest of your followers know. 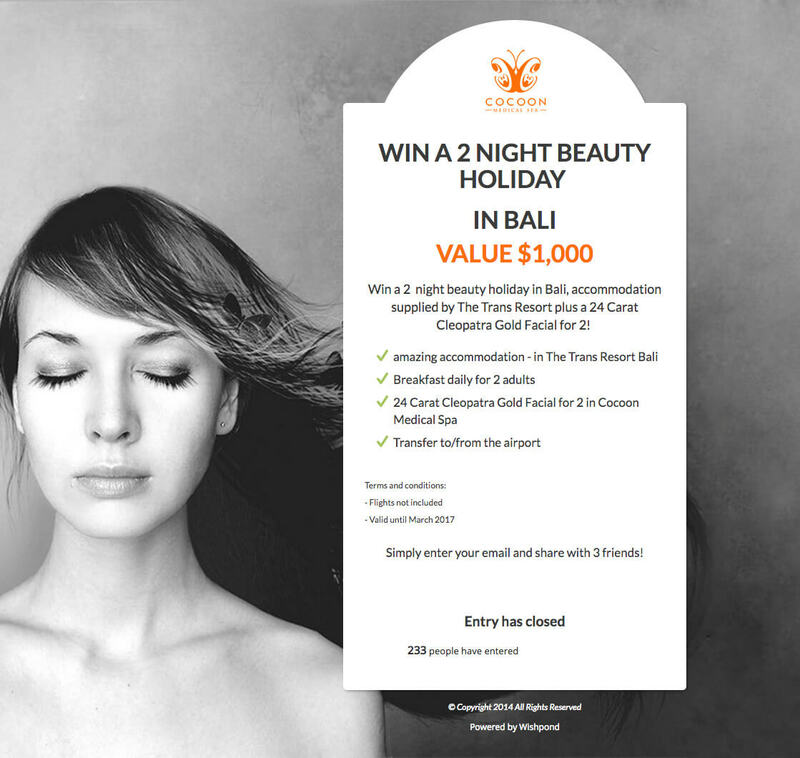 A bright and attention-grabbing cover photo will let everyone who visits know to enter. To host your Facebook competition directly on your Facebook page you'll need to create a custom tab and landing page. Customize the image in your brand's look and feel. Filling out the entry form is most likely the most painful part of the entry process. I don't know anyone who enjoys filling out online forms. To make life a bit easier for your visitors, use checkboxes instead of form fields where possible. This is a big one. A countdown timer creates urgency. Big bright numbers counting down to zero will drive more entries for fear of missing out on an awesome prize. The entry dates of the competition matter more than you would think. Too long and the excitement can dim as time goes on. Too short and you might miss out on some entries. Pick and experiment with different lengths for each competition you run. It's always wise to give everyone you can a heads up before your Facebook competition goes live. Send out a friendly email to let them know entry starts tomorrow and to avoid missing the opportunity to win. Once your Facebook competition is live it's time to shift to getting as many people to enter as possible. Don't forget to cross promote your competition on all of your other channels. Twitter, Instagram, email, blogs, and forums. Once your competition is published make sure to pin it to the top of your Facebook feed. A pinned post sticks to the top of the feed and accumulates more exposure from visitors. Anyone who looks down your feed will see your competition first. When choosing your prize package make sure it is tied back to your business. If your business sells appliances it's not a good idea to give away an iPad. People will enter to specifically for the iPad and take off once it's over. You want to make sure that they're interested in the niche you serve. Giving away gift card, store credit, or one of your products makes sure that all participants are interested in what you have to offer. Don't just set it and forget it. Keep your fans and participants updated on the status of your competition. This means making regular mentions of the number of entries or time left. It will encourage people to sign up or share the competition before it finishes. Facebook ads are by far one of the most effective avenues for capturing immediate traffic for your Facebook competition. Facebook ads target users based on interests so it's critical to locate those who are interested in your specific niche. Those who are strapped for time or who don't have much of a social media following can generate immediate traffic with Facebook ads. A banner at the top of your website or blog is meant to redirect visitors to your competition entry page. A brightly coloured design is meant to grab the attention of every visitor and make sure they're aware. When it comes to Facebook competitions it can help to include additional prizes to appeal to more people. Partner with a company that is aligned with your business to offer an even larger prize. Both of your companies can promote the competition for twice the marketing power. 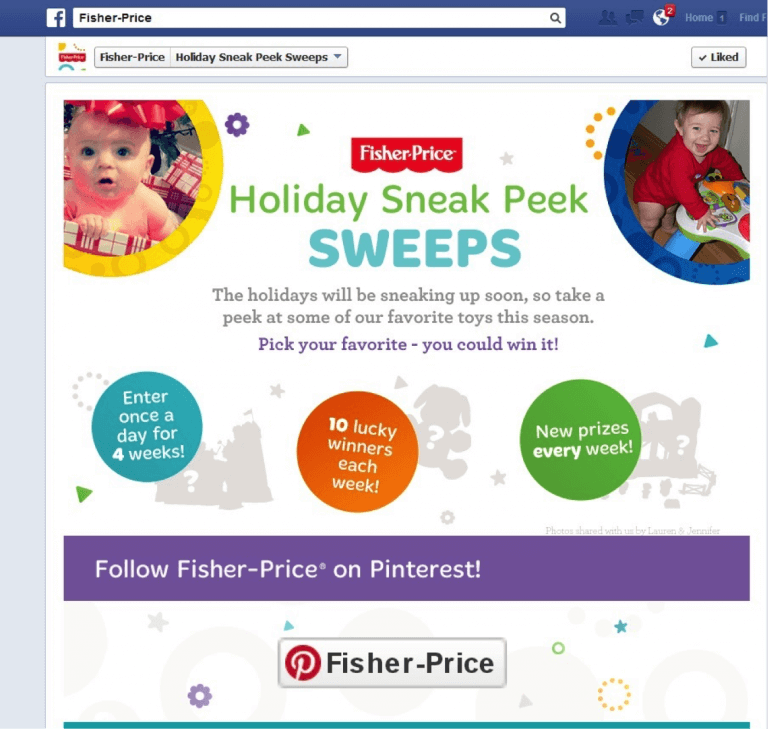 A Facebook competition theme like a holiday or anniversary can help establish more of a purpose for your competition. Celebrating one year in business for example, acts as a more compelling reason for visitors to accept your offer. Not having an occasion or theme lowers the apparent value of the competition because it may be assumed that you run them all the time. Before constructing any part of your Facebook competition makes sure you have measurable goals. Your goal will determine the measure of success for your competition. Leads, exposure, or follower growth are typical goals that can be measured against your acquisition costs. Keep your goal in mind when deciding how much you'd like to spend on a prize and advertising. Instead of a single massive grand prize, break it up into an entire prize package made of smaller prizes. Doing so will make the competition appeal to a broader range of people. You can then include parts that tie back to your business as well as things that don't. Half of all web traffic is now coming from mobile devices which means that your competitions need to be mobile responsive. 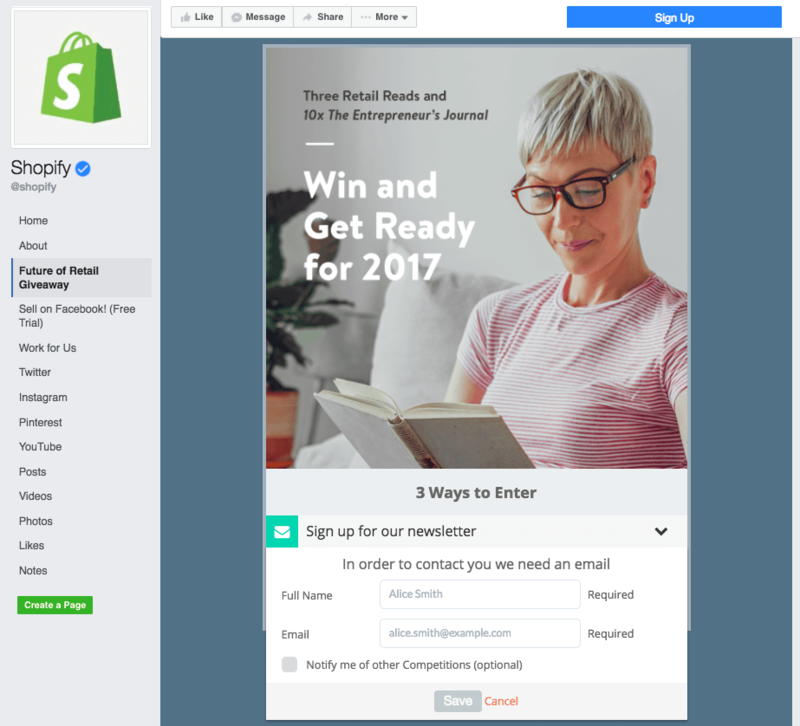 The best way to do this is to start with a Facebook competition building tool which comes with fully responsive templates, like Wishpond. 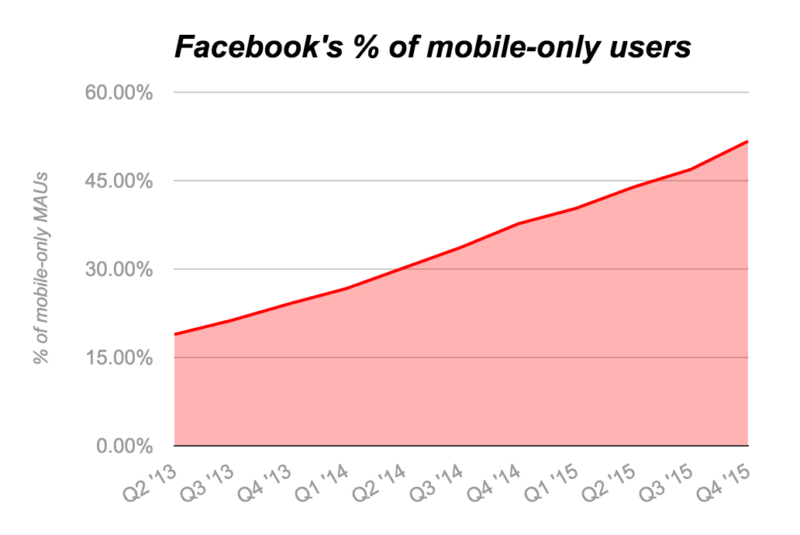 Although Facebook itself is always mobile responsive, your Facebook competition page may not be. Using a better competition building tool. Shortening content on the page. For a competition that is running for a longer period of time it is a good idea to run A/B tests on your call to action. By split testing your CTA you can see what language compels your visitors to convert more. 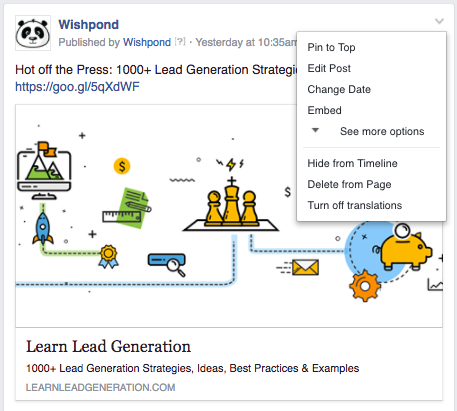 Facebook competition platforms, like Wishpond, are able to divide the traffic and send them to two different competition pages and see which works best. Don't forget to mention your new Facebook competition in your weekly/monthly newsletter for the people who don't follow one of your social channels. If recipients are already receiving your newsletter they're in your system but they may be able to share it within their networks as well. For one of your bonus entries try using a pre-populated tweet for your visitors to share. Write up some exciting copy for your visitors to share with one click. You'll receive more attention for your Facebook competition and they'll receive a bonus entry. When the fierce competition is all said and done feature the lucky winner. It's important to highlight the honor of winning and be sure to make them feel as special as possible. The amount of praise you're able to give will prep and excite people anticipating your next competition. Hopefully these 50 Facebook competition ideas have sparked your creativity for your next competition. A great prize, defined rules, and a bit of interactivity will surely delight your fans. 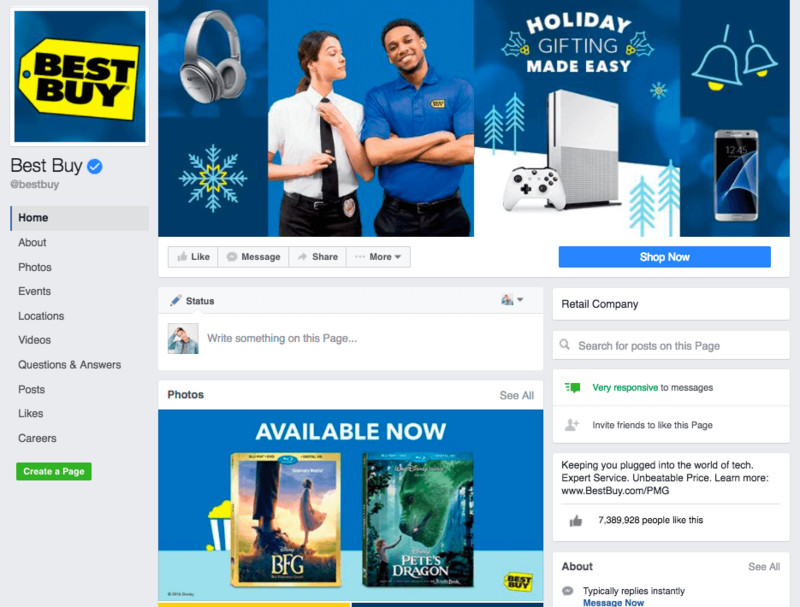 Are you planning on running a Facebook competition soon?